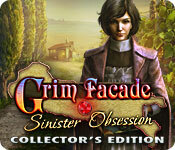 Grim Facade: Sinister Obsession Collector’s Edition is rated 4.1 out of 5 by 125. Rated 5 out of 5 by BereniceP from More games like this I really enjoyed playing this game. A little short maybe but with the additional bonus chapter it was OK. 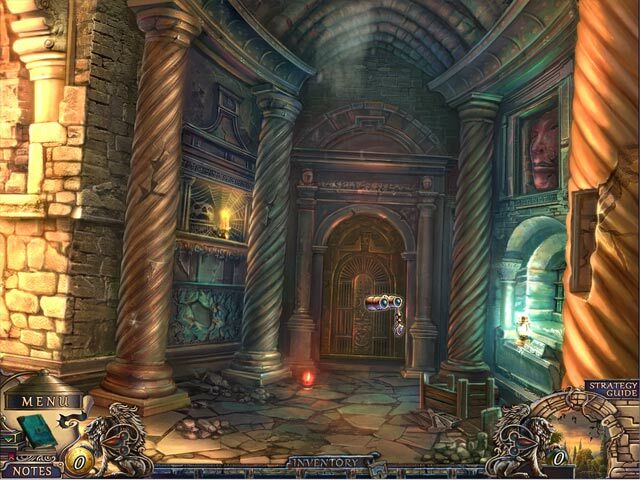 The hidden object scenes were a refreshing change from the norm and your tasks took a little more thought. Excellent challenge today and enjoyed playing the game. More games like this please!! Graphics really good and interesting and a nice, if already done, storyline. Rated 5 out of 5 by parkersam from Sinister obsession Excellant hour of demo, went in the blink of an eye. Will more than likely be buying this one very soon. Rated 5 out of 5 by amandac5 from brilliant!!!!!!! if only all hogs were as good as ERS. Didnt want this game to end . Rated 5 out of 5 by LEIZAP from WOW...this developer keeps getting better LOVE this game!!! Every game we've been playing seems to be "just the same ol' thing", until something fresh and new comes on the scene...well this is it!!! I love that you can choose your music (jukebox), HOG's are a bit different (one silouhette item helps you find the next), the puzzles are GREAT (not the same sliders), the adventure follows a logical sequence, and the story was good!!! Whether you're a CE or SE player, this game is a must!!! Rated 5 out of 5 by woodawooda from It does not get any better than this ! Wonderful game. I played the whole thing at one sitting including the bonus game. I never do that but this one kept me hooked for the whole game. I loved the original puzzles. I usually skip the puzzles in most games but these were fun. The attention to detail from ERS is always exceptional. They have mastered the art of detail. I loved the way there was constant background movement, even in the HOS scenes. And about those. the HOS scenes were so much fun. Diverse and interesting to do. This game has you thinking logically all the way through with beautiful graphic and great music too. The ERS games have a very distinctive graphics style that I find very appealing. They use it in all of their games and I really love it. If you are reading this review ERS, give your graphics team a raise, they are the best in the business! I hope everyone will buy the CE for this game because I think the bonus game was very well done and really tied into the story, I like when developers use the bonus game to give us background for the story. This one really added value to the game. I highly recommend this game and hope to see many more like it, thanks to ERS and Big Fish games!! Rated 5 out of 5 by samorris_2 from Loved It, Loved It, Loved It I have been waiting on this sequel, since the first Grim Facade came out. I knew I was going to buy this before the demo. You are a detective in Italy again, concerning the death of 3 women. You still have the fans for hints and for the HO's, you are looking for 12 hammers, 12 chains, etc or you are given a silhoutte of an item to pick out of the scene and use it to get another item from the scene. Rated 5 out of 5 by cathyok from Perfect game! I love that the developers stayed with the same format that they used in Mystery in Venice. The story is compeling and the graphics could not be any better. But, for me the best thing I really like is that the game follows a very logical order so you don't need to run to the guide very much. Another plus is that there is something for everyone no matter what type of puzzles you are into. Excellent game and I hope to see more of this series. Rated 5 out of 5 by mcs123r from Finally a great game Although I told myself that I would not participate in this SO CALLED 50% discount - which by the way is not a 50% discount to club members - I indulged myself and purchased this game. After playing the demo, I just had to play the full version. The intro, graphics, voice overs are great. The HOS are fun and very interactive. You have to make sure that you collect the coins as you go through each scene. With the coins you purchase items from the store and those items will help you with certain tasks. Also, make sure that you collect the fans in the HOS as those are for hints (if needed). The music is ok, I always turn it down or off as after awhile it is nerve racking with the repeditiveness, but with that said, it is much better than some of the other games. Rated 5 out of 5 by fergy5 from I say absolutely!! I loved the story line and the graphics. Beautiful. It is definitely on my list of games to buy. Rated 5 out of 5 by kimmykaye from Bought it fast Simple review. Bought the game after only 20 minutes into the trial. Great graphics. Held my attention completely while playing. Immediate purchase! Love it! Rated 5 out of 5 by Torpedo1 from Great HO's This played out a little different. Love the interaction of the HO's. Great graphics, Easy to play, and I liked it. Plenty to do and watch out how you spend your coins. Rated 5 out of 5 by agurney76 from Great Game 45 minutes in to the demo and I love it. Sad I have to go to work! Great visuals, mini games are challenging but not so bad I can't figure it out. Of course another ERS masterpeice. Rated 5 out of 5 by gamergonewild from fun and interesting game You are a detective(nothing new here). The opening scene gets your interset right away, you are here to solve 3 murders. This game is fun from the start with murder,puzzles beautiful graphics and nice music. I really like this game and could not wait to finish demo to buy! 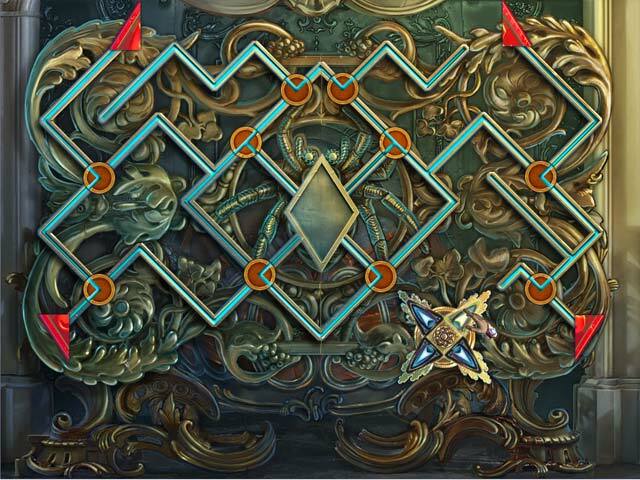 Rated 5 out of 5 by bounce1yo from Great Hidden Object Game Great Hidden Objest Game for a while now. Rated 5 out of 5 by Nilosh from A Great HOPA Game! Once again, from one of my favorite Game Developers a fun and challenging HOPA . Based on the demo, I really like this game despite the fact that graphics are not up to usual standards. Resolution is a bit low and cut scenes tend to get blurry and some scenes tend to be a bit dark at times. That being said, the game has everything that I love in a HOPA game; heavy on the adventure, a variety of HO scenes that differ from the ones we usually play and many unique and fun puzzles/mini-games to solve. Once again a mystery to solve where you are asked to investigate a series of deaths of young woman and find out who the killer is. There is a sinister family involved and a dark secret to uncover. As for Graphics, a bit dissapointing but neverthless I loved the artwork. I especially loved the fact that you can change the music and choose from a selection with the aid of a jukebok inside the shop, a rare novelty. Game features and mechanics include a diary and a hint system where you can increase number of hints by finding fans hidden in the HO scenes. There are three modes of game play, and you collect coins that will buy you items and tools that you will need during gameplay. HO scenes are different from the standard HOGs and very interactive. You either find several of one paticular item or use one item on another to complete the scene. This game is heavy on the adventure with many different puzzles and min-games to solve. Overall, I quite enjoyed the gameplay, there was just enough challenge to get hooked and I also found the story intriguing. In my opion, it may not be the best we have seen from this developer, but it certainly gets 5 stars from me on the mechanics alone. Rated 5 out of 5 by Rebr2009 from AweSOME !! I knew by the trial that I had to buy immediately!! Help solve the mystery of the murder of three women! Outstanding cutscenes, very convincing VO, compelling story, perfect graphics, great animation and soundtrack, gorgeous locations, colorful and neat in details. Three modes of play, and you can change levels even during the game. Two kinds of HOS: find 10 of the same type (hammer, chains, etc, and some you have to assemble before) or objects by the shape (and also are interactive - finding an object, leads to another object). Mini games different from the usual, such as the Scarecrow, entertaining but not very challenging. Hint also different: instead of "fill", you will finding peacock feathers in the game, and each one is a hint. In addition you have to collect coins, with which you will buy tools at the shop, and, of course, the pages of the diary of the killer. A highly well developed game, with many many things to do. Will certainly holds your interest and curiosity! Rated 5 out of 5 by Mary_Game_Nut from Another Grim Facade hit Loved the artwork and story line. Rated 4 out of 5 by Majestyx12 from Gaming in Tuscany Wine Country Based on the finished game and bonus chapter. This is a very old game. As far as I can tell July 2010. The skip is very very slow and the hints don't help much. I liked the story and enjoyed playing for the Hops and storyline. The guide is very detailed, it even has hops in the guide. I wouldn't want to play this game without the guide and for that reason alone I wanted the CE edition. It had some places I didn't find without the guide. Since the hint only helps in the hops and you have the guide for this, I needed it for the other parts of the game. If you are so good and don't need a guide go for the SV. The only extras are music, screensaver, wallpaper and concept art. The ending didn't make sense to me and the bonus chapter answered the questions I had. I counted 19 hops and I liked them enough to want replays but hence no replays. The hops started out with interactive hops only but progressed to lists which I like. I liked the game. Didn't have problems with the game with Win-10. Rated 4 out of 5 by smoovasbutter from Not great but okay This is the second Grim Facade game from ERS. The graphics are mediocre as I expected the Italian countryside to be more picturesque. Also the story is sometimes hard to follow as the cut scenes are very abrupt. After playing through the game and the bonus chapter I still don't exactly know what happened. But overall, it is typically good ERS gameplay so I shouldn't be too hard on it. 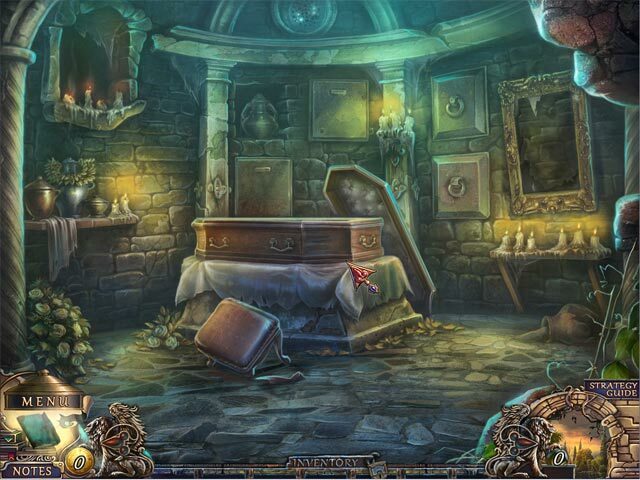 Rated 4 out of 5 by deddu from Solving the Mystery Although the story line didn't seem to be all that clear in the beginning, you finally found out during the bonus chapter. I enjoyed the mini-puzzles the most as they were different from ones I have seen in the past. The hint button is very slow to refill; however in this CE version the Strategy Guide is very helpful. Rated 4 out of 5 by Takara_Soong from Enjoyed the game I really enjoyed the game until the ending which seemed really abrupt and seemed to let the patriarch of the main family off the hook. Otherwise I liked the graphics, sound and the challenge level of the game. Rated 4 out of 5 by JustTheFacts from Wine, Women & Madness BASED ON COMPLETED GAME This is the second in the Grim Facade series, and differs significantly from the first, although superficially this is not obvious. It is an ERS game, so the GRAPHICS have a HAND-DRAWN WATERCOLOUR look, are CLEAR, DETAILED and BEAUTIFUL to look at. I didn’t much enjoy the MUSIC but the AMBIENT SOUND was GREAT. But it is NOT primarily an HO game. It does have 3 types of HOS, MULTIPLES OF, INTERACTIVE LISTS & PROGRESSIVE SILHOUETTES (get this to do that...). But there are more PUZZLES than usual, with some INTERESTING NEW TWISTS thrown in, and a FAIRLY EASY ADVENTURE component, that constitutes are LARGE part of the GAMEPLAY. There is NO MAP which is a shame, because the locations do get a bit confusing at times, and there is a certain amount of BACKTRACKING involved. HINT is the standard unhelpful “try elsewhere”. You COLLECT beautiful fans for EXTRA HINTS. And COLLECTIBLE COINS are needed to purchase items from the local store, and PROGRESS in the game. There is a NOTEBOOK as well, but it’s not very helpful with GAMEPLAY. And the SG is GOOD, going into quite a lot of detail where necessary to explain a puzzle. The STORY gets more INTRIGUING as you go along. You are brought in to discover if there is a MURDERER on the Conti Estate, in the Italian wine growing region. The maid gives you what appears to be the DIARY of a KILLER, which says there are 3 women dead already. All signs suggest the murderer is one of the three Conti brothers. You do indeed turn up bodies, and the story flows well, but flashes of a scene involving the father and his sons make the investigation seem even more INTERESTING and UNEXPECTED. The telling of this tale is UNUSUAL, because those flashes are all the insight we get into the goings on at the estate. It would have been nice to be able to replay these CUTSCENES, because I was a bit confused about the facts throughout the game, right up to and including the final scene. The NOTEBOOK offers little, but is all the further explanation you get. BONUS CONTENT The BONUS CHAPTER EXPLAINS all that has led up to the ENDING of the main game. It is quite LENGTHY & ENJOYABLE, and uses NEW LOCATIONS. However, there are more HOS than PUZZLES here, and the HOS are all INTERACTIVE LISTS. Again, the STORY is not obvious, you must work out a lot from the little you get, and at the end I still have questions. As well as the SG, we have the usual GALLERY of WALLPAPERS, SCREENSAVERS, CONCEPT ART & MUSIC. Originally, this was my least favourite of the Grim Facade series, but IT GROWS on you, and this my third playing, I really enjoyed it. Would I buy the SE or the CE? I think, weighing everything, this is a BETTER BUY as a STANDARD EDITION. Rated 4 out of 5 by silverink from An enjoyable game This was an enjoyable game, but I found I did not like it as much as I thought I would. It was a bit drab and disappointing as the storyline moved on. The artwork seemed somewhat hazy in more than a few areas. The first in this series had more beautiful scenery. But overall it was a nice mix of adventure, hidden objects and puzzles and was a good length, with about the right amount of challenge for a relaxing play. Rated 4 out of 5 by AutismMom00 from Grim Facade: Sinister Obsession: CE I just finished the one hour trial. It is fairly intuitive. I like the fact that when you need an object, say, a wrench to open something, the wrench may be hidden, but it is nearby, not several screens back. As usual, the graphics are beautiful, and the story takes place in the Italian countryside, which are depicted beautifully in the grahics. Not too hard, nor too easy. A good, steady pace that doesn't fly by too fast, nor too slow where it is like trying to swim in molasses for progress in the game. Enjoyable. There is a CE sale this weekend, and this is an excellent choice as a bonus, although it really is worth the money, too.